News is streaming out of Sangin, Afghanistan, this week. Look no further than Battle Rattle posts from Dan Lamothe here and here. But hidden in the coverage was this gem of a photo, taken Dec. 30 by Gunnery Sgt. William Price. 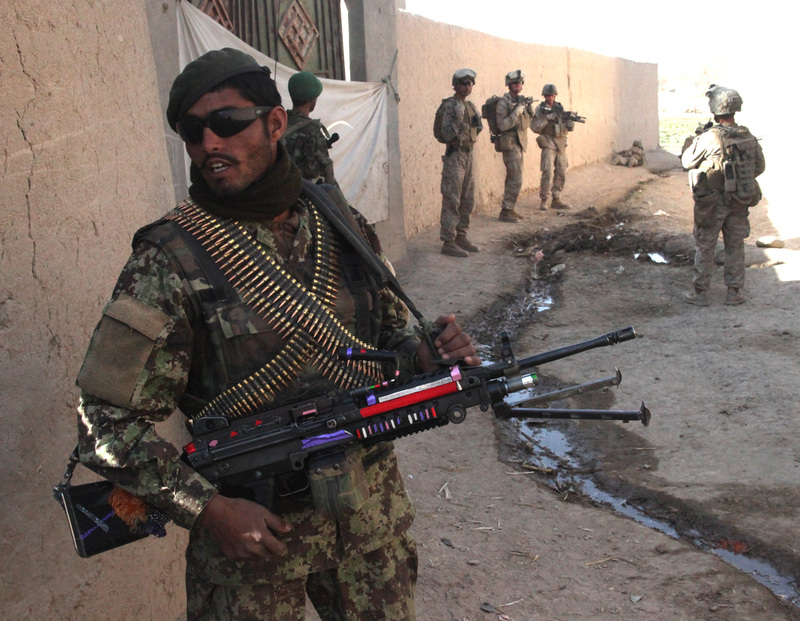 This Afghan National Army soldier was among those patrolling with India Company, 3rd Battalion, 5th Marines. My questions to you: How do you like his bling? And what do you make of those sideburns? Probably put it to make sure he knows which side the bullets come out. But seriously, pieces of flair like that are common in India and AFPak, not on guns normally but my guess is he’s glad to be holding an american weapon and not an RPK and views it like upgrading to a mercedes from a kia.